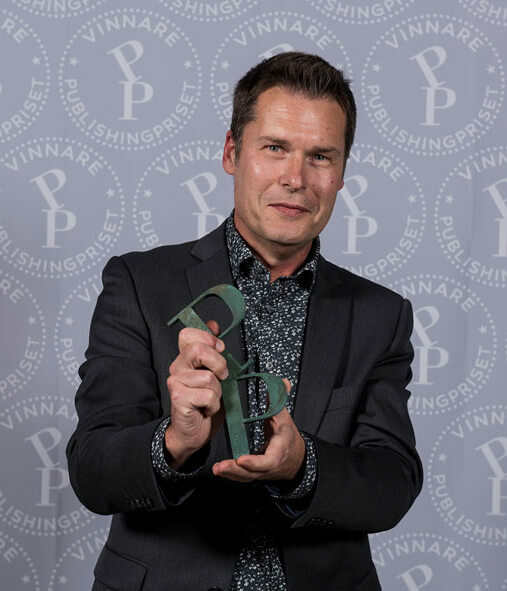 The Publishing Prize is an annual contest where a jury appoints winners in different categories, such as movies, websites, newspapers, magazines, books and other printed matter in English, Norwegian or Swedish. The Publishing Prize, which is independent of industry organizations, is a comprehensive communication contest. It includes most established forms of communication / medias. 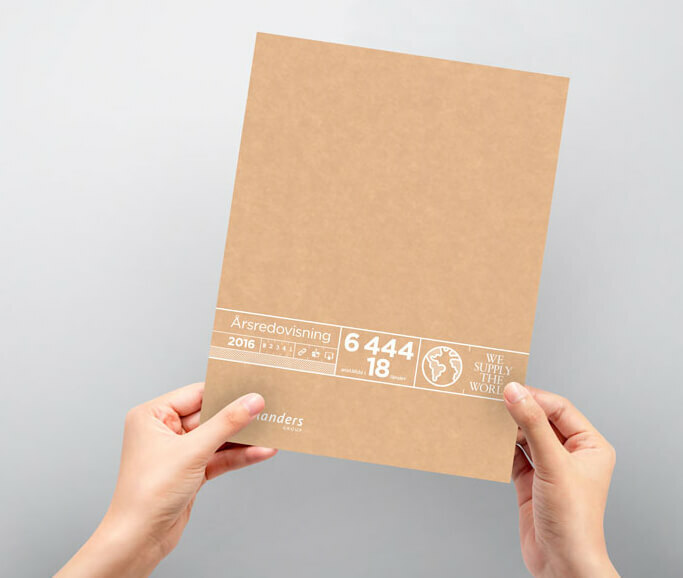 Elanders’ Annual Report has won the prize in 2012, 2013, 2014 and now, 2017. At this year’s awards Elanders won the category “Annual Report – Listed Companies”. The jury’s motivation was: For a stylish cover idea, consistent use of pictograms and state of the art printing – of course. Ronny Byberg, Elanders AB, receives the Publishing Prize 2017. Photo: Fredrik Stehn. Production: Elanders AB in collaboration with Narva. Paper: Cover: Ensocoat 275 g. Insert: Crown Letsgo Silk 115 g.
The insert is printed by Elanders Germany on a HP PageWide Web Press T240 HD. The covers are printed by Elanders Sweden on a HP Indigo and all copies are personalized.